Within limits, a certain amount of superstitious thinking can be a harmless part of normal life. The popularity of horoscopes, tarot card readings, good luck charms, and psychics in our own society bears witness to this. However, even in primitive societies where magic controls people’s actions and decisions on an everyday basis, it is integrated into everyday life, regarded as a tool, and does not paralyze its users. 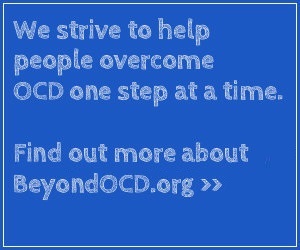 In OCD, unfortunately, its usage and negative effects expand far beyond these ordinary limits. Beginning as a way to control anxiety brought on by obsessions, it gradually escapes the user’s control, taking over their life, and actually generating greater anxiety than it was originally supposed to relieve. There is currently no scientific explanation as to why some individuals tend to think magically as compared to having any other symptoms. No one actually understands why anyone has his or her special type of obsessive concerns. Many of those with OCD are constantly bombarded with very strange and doubtful thoughts about harm coming to themselves and/or others. These thoughts can be quite extreme. Their inner world of doubt seems out of the range of normal control. One other possible influence upon the development of magical thinking in OCD may be if an individual with OCD comes from a culture in which superstition and daily ritual plays a strong role. Growing up in such a background cannot, of course, cause OCD, however, I believe it can certainly help give someone at risk a push in the wrong direction if everyone at home is regularly practicing magical rituals. No one with OCD was ever made better by growing up in a superstitious environment. Those who suffer from magical obsessions have a great need for control in the face of their extraordinary and unusual fears, but they quickly come to realize that ordinary types of protective measures cannot help them. Their doubt is so overwhelming that the normal means of control simply don’t apply in their magical obsessive world. The most logical or scientific thinking usually cannot give them explanations or reassurance. OCD, after all, was formerly known as “The Doubting Sickness.” I am fond of saying that if you had to sum up OCD in two words, they would be “Pathological Doubt.” As in primitive times where people felt a need to control happenings in a world they couldn’t explain, those with magical obsessions feel that they must therefore resort to something far beyond the ordinary. Only in this way can they have a sense of security and control. What can supply this? The answer, of course, is magic. It appears to be their only possible alternative, and as we know, is something that comes rather easily to humans. Superstition and magic create connections between things that according to logic and the laws of science, don’t connect within the real world. Numbers, words, and actions appear to control events in the present and future. Bad luck or good luck can be spread by thought, by sight, by touch, or simply by association. Those with this type of OCD realize that their behaviors are unrealistic and sound crazy to others, but they use them anyway to relieve their anxiety. Because magic figures into a fair proportion of OCD, and can sound so irrational, it is most likely the reason that so many sufferers have been misdiagnosed over the years as having schizophrenia. Like the magic of old, compulsions of the magical variety can include all sorts of superstitious and ritualistic behaviors. What these different magical compulsions all have in common with each other and with ancient magic are that they are performed for the purpose of preventing bad events in advance, or for undoing events or thoughts which have already occurred. One other similarity to other types of magic is that often the steps of the compulsive ritual must be kept rigidly “pure” and perfect, and cannot vary, or else they will not work. Additionally, rituals must be performed while in the correct state of mind, with no interfering ‘bad’ or wayward thoughts. Because anxiety typically hampers the performance of almost anything, sufferers generally find it very difficult to get their rituals to be perfect. They get the steps in the wrong order, forget to do something, or an unpleasant obsession or image intrudes during the ritual, thus “contaminating” and destroying the magic. Even if an individual’s obsessions allow them to redo botched rituals, they may still get a fair proportion of them wrong. This, of course, can lead to hours spent ritualizing to get things ‘just right.’ If the rules governing a sufferer’s obsessions will not allow them to have another chance at the ritual, a lot of careful planning or activity can be totally ruined in an instant. If, in particular, it is a ritual that can only be done at a special moment or on a specific day, there might not be another chance for days or even weeks to try it again. An entire day, a month, or even a coming year can be “ruined” in this way. I have seen people utterly unable to function during these “ruined” time periods. This is how rituals, themselves, become sources of anxiety in a circular sort of way. The false science of numerology has been in existence since at least the time of the ancient Babylonians. It was based upon the concept that the universe is composed of mathematical patterns, and that all things can be expressed as numbers that connect to these patterns. Pythagoras himself believed that the entire universe could be expressed numerically. Numerologists and magicians have always believed that every number has a special vibration, or power. Numbers have been used over the centuries for forecasting the future (also known as divination) and in magic practices. Ancient numerologists assigned numbers to letters of their alphabets, and through them were able to tell people’s futures, or even find hidden magical meanings in the bible and other written works, as if these were written in some type of special code. In different cultures, numbers may have the power to give magical control, and some may also be taboo (such as 13 or 666). Many of the rules for numbers seen in numerology and magic are also seen in OCD. Some of these rules are common to many sufferers (13 and 666 are bad, even numbers are good, odd numbers are bad, etc.) and some are particular only to specific individuals. Sometimes multiples of bad numbers are also bad, or even worse than the original bad number. For some, a multiple’s power to do harm seems to increase with its size. Undoing rituals are quite common where magical number obsessions are present. For instance, bad numbers are usually canceled out by good numbers, or simply by counting to, thinking of, or looking at higher numbers. In the case of some sufferers, if they are reading a book and stop reading on a bad numbered page, they must keep reading until they can stop on a good numbered page. I can’t tell you how many patients I have had, who had to turn their TVs or radios on or off on a particular numbered channel or station. As mentioned earlier, some magical behaviors often have to be performed a special number of times or on special dates that are seen to have magical significance. Midnight, noon, or the first or last days of the month or year are the most common times that figure into these rituals. Certain times of day, when they appear on a clock, can also be lucky or unlucky, depending upon which numbers a person’s obsessions fasten on to. Actually, the invention of the digital clock has contributed quite a lot to these types of obsessions and compulsions. Some sufferers cannot act or speak when particular numbers come up on a clock or wristwatch. Those with magical touching rituals frequently incorporate numbers into their behavior and have to touch certain objects a special number of times in order for them to be effective. In terms of what can be done to remedy magical obsessions and compulsions, I recommend, as usual, the two-pronged approach of medication plus behavioral therapy. I can’t tell you everything there is to know about this broad subject in this article, but I can give you a brief rundown. As far as medications go, antidepressant medications such as Anafranil, Prozac, Zoloft, Paxil, Luvox, Effexor, Serzone, Celexa, or Lexapro can provide a degree of symptom relief, reducing the obsessive thoughts and the urges to do compulsions sufficiently to allow behavioral therapy to help the sufferer overcome the rest of the problem. This is not to say that one cannot be successful without medication, however, it does improve your chances quite a bit. On the other hand, medication alone usually isn’t sufficient to do the job entirely. In therapy, a listing, or hierarchy, is created in which all feared situations are ranked in order, usually on a one to ten or a zero to 100 scale. This scale is then used in the creation of homework assignments. As patients carry out therapy assignments, they work their way up the scale, gradually tackling more and more difficult items via homework assignments, or working with the therapist in the office or on field trips. No one is ever forced to do anything, and nothing is thrown at them by surprise. Exposure to obsessive thoughts may be accomplished via taped presentations, writing assignments, or selected readings. I have found the exposure tapes to be of particular value. They tell the sufferer in gradually increasing doses that the harm they fear really will occur, and that there is no escape. They are used several times per day, and increased in difficulty as the listener’s anxiety decreases with presentations. Despite what you may have heard from various sources, obsessions can be as effectively treated as compulsions. It all hinges on a well-designed treatment. Exposure can take place on the mental level just as easily as in the physical world. Some people require repeated exposures to feared situations, and some may require only one. In this latter case, it is almost as if by finally facing the fear, the sufferer is breaking a ‘spell’ (to use a magical term). This is certainly not to suggest that therapy is in some way like magic; it isn’t. Far from it. Therapy requires persistent and consistent work.